Veltec Networks partners with many of the top dental software and technology vendors. We’ll ensure you get the best value for your dental IT support investments. Veltec Networks Specializes In IT For Dental Practices. Technology continues to increase in complexity. Because of this, you need an IT provider who is fully acquainted with the latest, and most reliable, computer hardware, networking, and security technologies that dental practices require. That provider is Veltec Networks. Veltec Networks can provide, install, configure and support all of your IT systems. From overall network design, to implementation, no job is too big or small. We offer consultation services and custom-built computer networks that will align with the unique needs of your practice. Advise you on technologies that can increase your practice’s efficiencies and productivity. 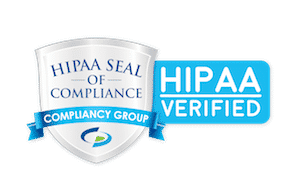 Veltec Networks is also compliant with the latest HIPAA standards. You’ll have the peace of mind knowing that your patient information is protected in accordance to the latest HIPAA standards. Don’t trust your dental technology investments to just any IT provider. Contact your local Dental IT Specialists—Contact Veltec Networks. Call us at (408) 849-4441, or email us at info@veltecnetworks.com, to book an IT consultation for your dental practice.